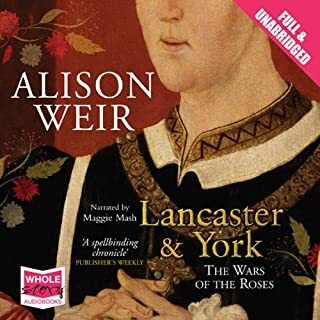 Lancater and York is a riveting account of the Wars of the Roses, from beloved historian Alison Weir. The war between the houses of Lancaster and York was characterised by treachery, deceit, and bloody battles. 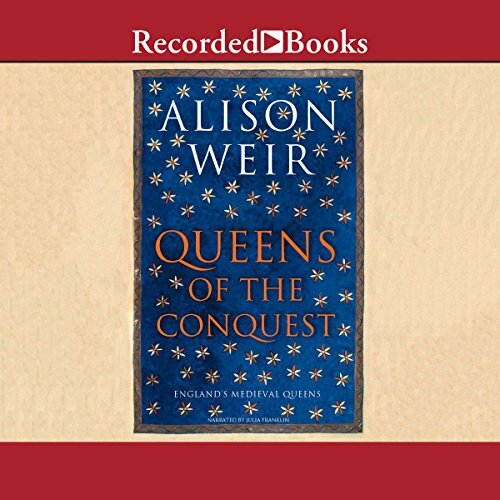 Alison Weir's lucid and gripping account focuses on the human side of history. At the centre of the book stands Henry VI, the pious king whose mental instability led to political chaos, and his wife Margaret of Anjou, who took up her arms in her husband's cause and battled in a violent man's world. 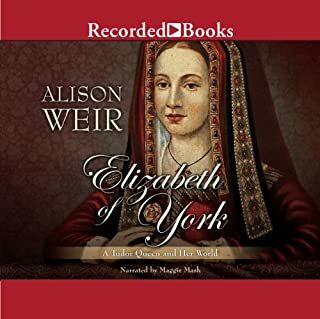 Renowned for her highly acclaimed and bestselling British histories, Alison Weir has in recent years made a major impact on the fiction scene with her novels about Queen Elizabeth and Lady Jane Grey. 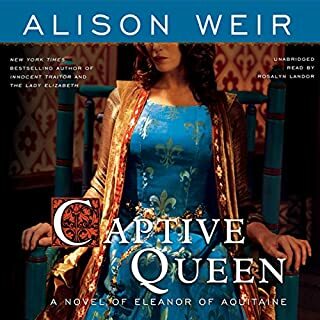 In this latest offering, she imagines the world of Eleanor of Aquitaine, the beautiful twelfth-century woman who was queen of France until she abandoned her royal husband for the younger man who would become king of England. 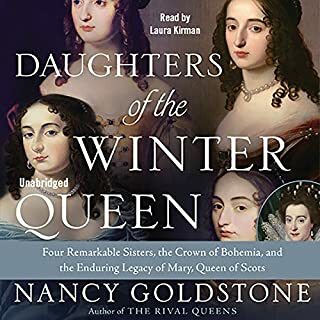 From New York Times best-selling author and acclaimed historian Alison Weir comes the first biography of Mary Douglas, the beautiful, cunning niece of Henry VIII of England who used her sharp intelligence and covert power to influence the succession after the death of Elizabeth I. Interesting piece of history; but, Dull & Tedious. Many are familiar with the story of the much-married King Henry VIII of England and the celebrated reign of his daughter, Elizabeth I. But it is often forgotten that the life of the first Tudor queen, Elizabeth of York, Henry's mother and Elizabeth's grandmother, spanned one of England' s most dramatic and perilous periods. Now New York Times best-selling author and acclaimed historian Alison Weir presents the first modern biography of this extraordinary woman. NARRATOR SHOULD HAVE STUCK TO OWN VOICE !!! The talented, confident, and intelligent son of John of Gaunt, Henry IV started his reign as a popular and charismatic king after he dethroned the tyrannical and wildly unpopular Richard II. But six years into his reign, Henry had survived eight assassination and overthrow attempts. Having broken God's law of primogeniture by overthrowing the man many people saw as the chosen king, Henry IV left himself vulnerable to challenges from powerful enemies about the validity of his reign. Even so, Henry managed to establish the new Lancastrian dynasty and a new rule of law. The Tudor period conjures up images of queens and noblewomen in elaborate court dress, of palace intrigue and dramatic politics. But if you were a woman, it was also a time when death during childbirth was rife, when marriage was usually a legal contract, not a matter for love, and the education you could hope to receive was minimal at best. Yet the Tudor century was also dominated by powerful and dynamic women in a way that no era had been before. Mary Boleyn was the mistress of two kings, Francois I of France and Henry VIII of England, and sister to Anne Boleyn, Henry VIII’s second wife. 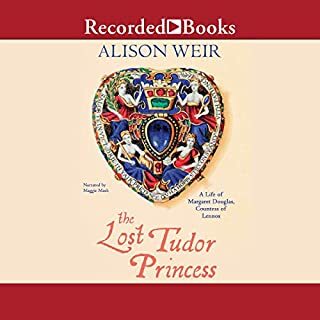 In this astonishing and riveting biography, Alison Weir’s extensive research gives a new and detailed portrayal, in which she recounts that, contrary to popular belief, Mary was entirely undeserving of her posthumous notoriety as a great whore. This is a BIOGRAPHY, not a novel. 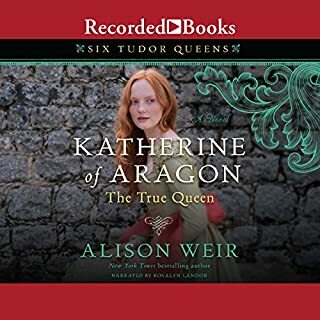 Written with an exciting combination of narrative flair and historical authority, this interpretation of the tragic life of Catherine Howard, fifth wife of Henry VIII, breaks new ground in our understanding of the very young woman who became queen at a time of unprecedented social and political tension and whose terrible errors in judgment quickly led her to the executioner's block. This magnificent biography of Henry VIII is set against the cultural, social and political background of his court - the most spectacular court ever seen in England - and the splendour of his many sumptuous palaces. An entertaining narrative packed with colourful description and a wealth of anecdotal evidence, but also a comprehensive analytical study of the development of both monarch and court during a crucial period in English history. Ten remarkable women. One remarkable era. In the Tudor period, 1485 to 1603, a host of fascinating women sat on the English throne. The dramatic events of their lives are told in The Turbulent Crown: The Story of the Tudor Queens. Catherine de' Medici was a ruthless pragmatist and powerbroker who dominated the throne for 30 years. Her youngest daughter, Marguerite, the glamorous "Queen Margot," was a passionate free spirit, the only adversary whom her mother could neither intimidate nor control. Definitely not a dull bio! This epic book brings to vivid life five powerful Norman queens, from Matilda of Flanders, wife of William the Conqueror, to the Empress Matilda, mother to King Henry II, founder of the Plantagenet dynasty. The lives of England's medieval queens were packed with tragedy, betrayal, love, warfare, adultery, and mystery - but their stories are obscured by centuries of myth and prejudice against these powerful women. These Norman queens were actually more autonomous and influential than most later queens, since they actually participated in battles and led troops of their own. By joining her husband, William the Conqueror, in the battle to take control of England, Matilda of Flanders set a precedent for her female descendants to continue to ride onto the battlefield and maintain their own separate armies. I've read a handful of Alison Weir biographies, and she never fails to keep me engaged. Right now, I'm going through a Medieval England phase, so this book was right up my alley. She did a good job of mixing what information we do know with some speculation on her part and what legend says. My understanding is that this is meant to be part of a series, and I can't wait to read more of it. I know another reviewer had a problem with the narrator. I didn't. I listened to the book at 1.5 speed, which might have made a difference. I didn't get distracted by the pauses. This is a great subject and a great book, I can hardly ever put down the book or stop the audible listening to Ms Weirs books. Meanwhile this narrator chops it into chunks two or three words at a time using drama pauses upward a hundred times a chapter. Why oh why. I'm interested in the subject and will buy the book in print form. I can't listen to this narrator because, while she has a technically lovely voice and accent, she seems to have absolutely no feel for the story or interest in it. The reading has no rhythm, and seems to lurch between fast and slow. There are abrupt pauses during which I imagine her turning a page and having absolutely no clue what the next word might possibly be because she wasn't really paying attention. I tried changing the speed in both directions through several levels and finally gave up. This is the second book she narrated that I have had to give up because the disinterested reading is just too distracting. The content of this book was great, I own a few books by Ms. Weir and thus one doesn't disappoint!! However, I felt that the narrator was channeling her inner Captain James Kirk!! Very short and choppy narration, but the facts and stories made up for it. What did you like best about Queens of the Conquest? What did you like least? There is a lot of information about 5 queens named Mathilda, starting with the Mathilda married to William the Conqueror. Maybe a little less detail. This bogs down in the minutiae. What three words best describe Julia Franklin’s voice? She pauses at odd times, but it is not too disconcerting. Was Queens of the Conquest worth the listening time? I am in the middle of it, and don't think I will continue it. It does help me to go to sleep at night, though. I love Allison Weir, but this one is hard going. Reader has random stops, and reads too slowly. I know this can be dry stuff sometimes, but she made it impossible to listen, even as a cure for my insomnia. Love me some Weir, but I can't finish the second chapter. so unbelievably boring. definitely not what I thought it was. if you are looking for something interesting, don't waste your time here. Sometimes it seems like a listing of every charter that was signed. I have enjoyed this author previously but this is not her best work. The narration could be better; the narrator does not enunciate well so I lose part of each sentence. although a bit disjointed and leaving one to get a better sense of the everyday life of these queens.